Giving Tuesday started in the UK in 2014 and is run by Charities Aid Foundation. It has become one of the world’s biggest days for charities, raising millions of pounds for good causes. It’s an opportunity for people to give back, to think of others and to “do good stuff” just after Black Friday and Cyber Monday. Put simply, it’s a day dedicated to helping and thinking of others. Made popular by the hashtag #GivingTuesday, this year’s day takes place on Tuesday 27th November and is looking to be more widespread than ever before. It’s a great time to get involved! 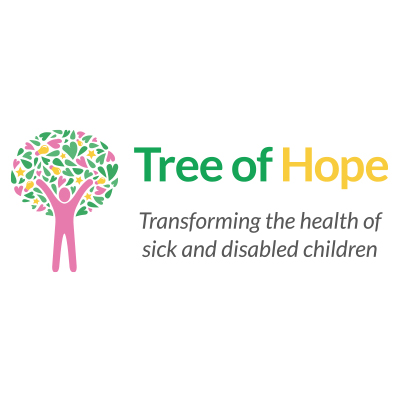 This year, Tree of Hope have set our supporters a challenge to GO RAINBOW and raise money, helping us to support seriously ill and disabled children all over the UK. Download your #GivingTuesday Rainbow Fundraising Pack here. How can you make the most of Giving Tuesday to help your campaign? Approach your company and ask about match funding, ask a colleague to skydive for your child, ask your favourite celebrity for a donation. If you don’t ask, you’ll never know. Mention Giving Tuesday. There are so many people looking to do something good on Giving Tuesday, let them help you! Use the hashtag #GivingTuesday to promote your campaign. Connect on social media too, who knows – you might get a retweet or a shout out for some much needed publicity! Plan an event to take place on Giving Tuesday. It could be big or small, independent or in conjunction with a local business or school. Use Giving Tuesday to your advantage and to help you raise more funds for your all important campaign. Host a rainbow bake sale, breakfast party or cocktail party. Hold a community rainbow hat competition – who can make the brightest hat? Host a rainbow party, including a rainbow nail painting station, a rainbow face painting station and enjoy rainbow snacks and drinks. Penny Jar – set up a large jar in your office at work and ask your colleagues to donate their loose change to your campaign. Better still, if you work in a large environment, encourage each department to fill up a jar and see which team can raise the most money! Packed lunch – encourage your friends and family to go into work with a packed lunch on Giving Tuesday and donate what they would have spent on lunch to your campaign. Coffee donation – encourage your colleagues to go without their morning coffee and instead donate the money they would have spent to your campaign. Ask local schools to hold a rainbow non uniform day in aid of your campaign. Don’t forget to take photos of your fundraising and send them to us or tag us on social media! Join the conversation – for the last three years, #GivingTuesday has been the UK’s number 1 social media trend – join in and be seen!